and watch episode after episode of the Big Bang Theory? Kathy posted a new sketch over at the Frantic Stamper blog on Sunday. both used with my Big Shot die cutting machine. and I came up with this!!! 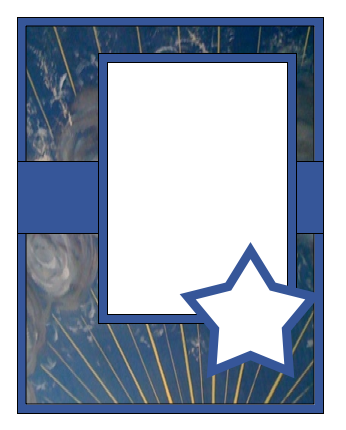 Anywhoo, I thot it'd make a great high school graduation card... a metaphor for metamorphosis, right?! Catepillar to butterfly to bright beautiful kid going out into the world. But who to send it to?! Ok...I still haven't made anything for the current Scrapping the Music challenge (P, I am a terrible friend!) At least go over and check out the pretties that the rest of the design team made! You could also go see the participant's submittals for the current song! (Its a Good Life by One Republic) and prompt (What is your most memorable summertime song? Whenever you hear it, what are the memories that come back to you?) You won't be disappointed!!! Your butterfly card is gorgeous Phin! I LOVE all that purple, and yes it would be perfect for a graduation!!! I loveeeeeeeeeeee Big Bang!! Brookie loves singing the opening song....and when we come home... Brookie knocks on the door.... "Knock, knock Abum" -- "knock, knock Abum"... it's sooooooooooo funny!!! I loveeeeeee your card!! LOVING the butterfly!! I would love to lie flat on the couch too! I'm ready for Doctor Who, or something good to come on TV...not happening! 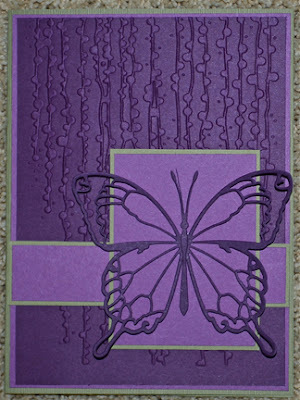 You rocked this sketch and card, LInda...I love that purple and all of the texture with the butterfly! Hi Linda! I think summer is the BEST time to veg out in front of the TV watching Sheldon!!!!! WOOHOO!!!!! I love your graduation card with the metamorphasis theme! Bazinga - you nailed it!